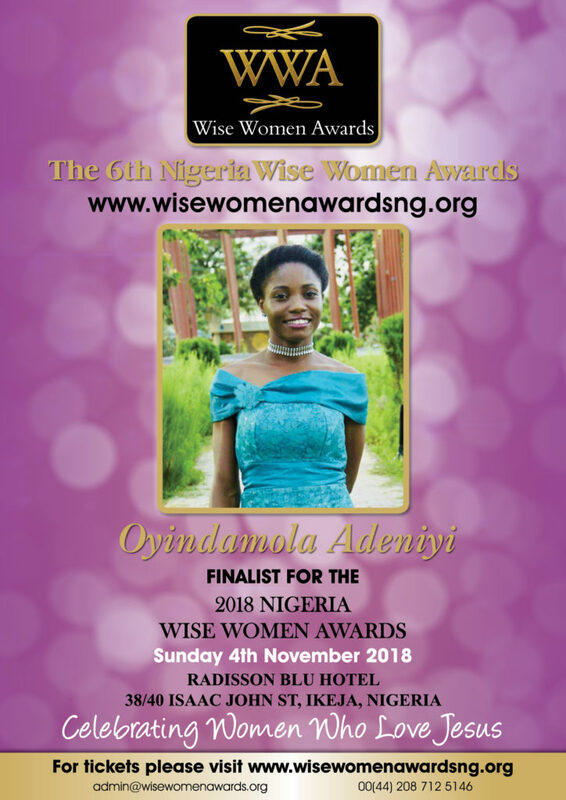 Oyindamola Adeniyi, a wilful and tireless lady met with a heart wrenching disaster as she grew up to realize that three of her siblings were fighting a terminal disease- MUSCULAR DYSTROPHY- which wastes away the muscles, leads to immobility and eventually leads to death! Life got worse when her only sister, Temitope died at the age of 29 to the disease. And worst, as her sister’s untimely death affected her mother so much that she became paralyzed with stroke. Growing up with the segregation, stigmatization and desperate need for an end to the disease, Oyindamola could only take solace and direction from God who called her to share the faith and hope she found in him. She took upon herself, albeit led by the spirit, an interest in special needs persons and their families and established a foundation for neuromuscular disorders, with the aim of finding a cure and putting smiles on families living with the disease. With this, she has been able to reach and provide support for some muscular dystrophy families across Nigeria. She strives hard to enlighten the community that stigmatization needs to be erased, empathy embraced, love and support shown to the victims and families of all neuromuscular and rare disorders. She drives around with empathy as she also advocate rights of children, rights of the girl-child, disability rights as well as rights of women and old people. This passion makes her volunteer at a couple of civil societies including the Nigerian Red Cross. In spite of financial challenges, constant needs of her presence and support by her family, this high spirited woman and intellectual, followed her dreams and love for teaching and impacting lives. She is a graduate of both the Federal College of Education, Abeokuta and the University of Lagos, Akoka where she majored in English education. She strongly believes in the word of God found in the book of Philippians 4:13, ‘I can do all things through Christ who gives me strength’.